Vinyl on masonite. 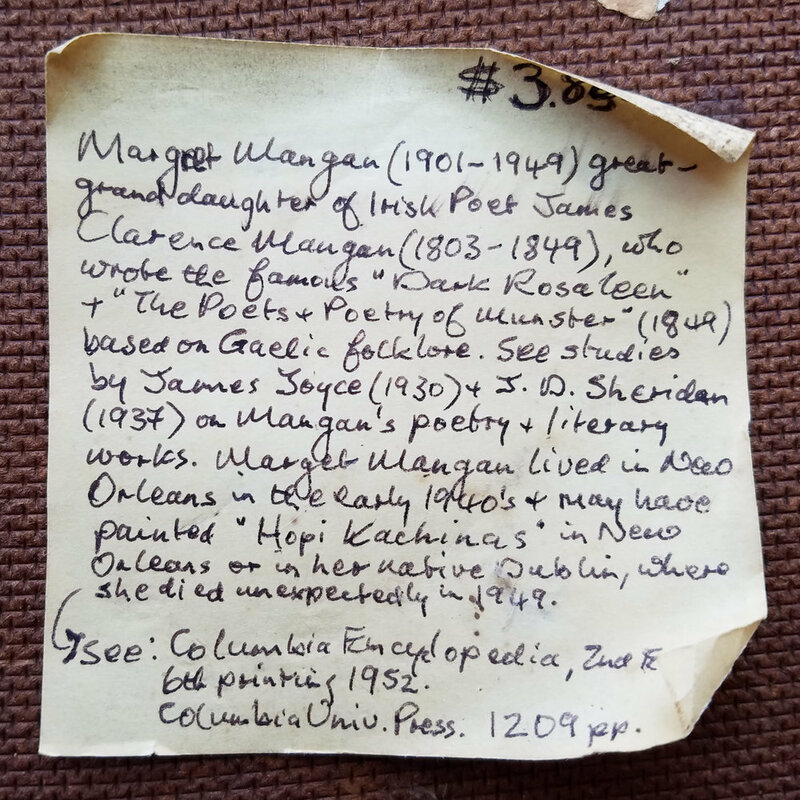 Note on the rear reads: "Margret Mangan (1901-1949) great-grand daughter of Irish poet James Clarence Mangan (1803-1849), who wrote the famous 'Dark Rosaleen' + 'The Poets + Poetry of Munster' (1849) based on Gaelic folklore. See studies by James Joyce (1930) + J.D. Sheridan (1937) on Mangan's poetry + literary works. Margret Mangan lived in New Orleans in the early 1940's + may have painted 'Hopi Kachinas' in New Orleans or in her native Dublin, where she died unexpectedly in 1949. See: Columbia Encyclopedia, 2nd E. 6th printing 1952. Columbia Univ. Press. 1209 pp."